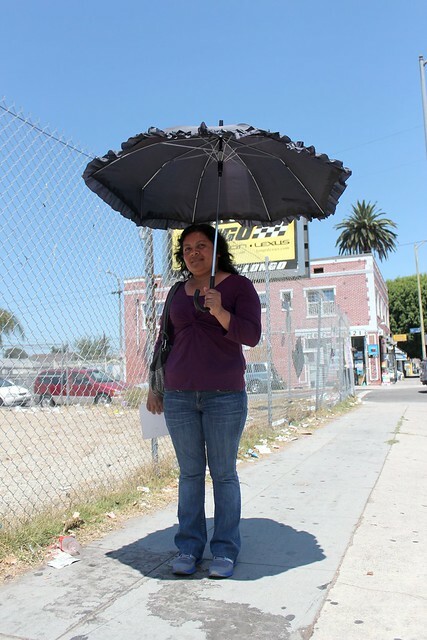 Aug. 15, 2012, 1 p.m.
With temperatures nearing 90 degrees Fahrenheit, the streets of South LA were mostly empty on a weekday afternoon. 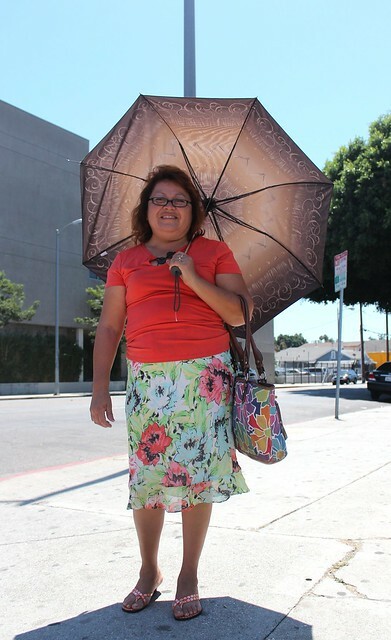 As the rest of LA tried to escape the heat, here's how the few who braved the stifling weather stayed cool. Parasols were a common theme along this unforgivingly sunny portion of Main. These two women both shaded themselves with large umbrellas. The most unique sun-protection technique, however, belonged to the man on the bike. 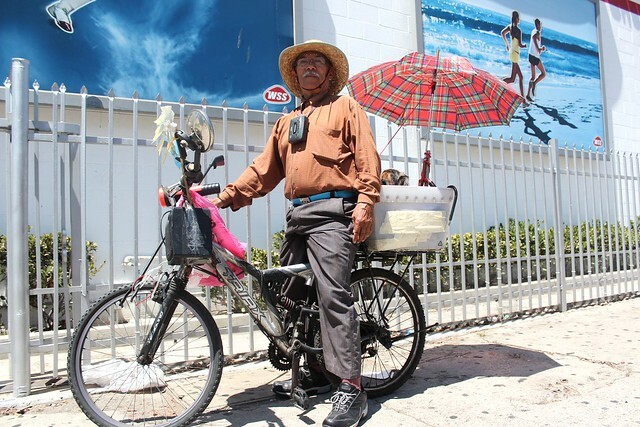 He wore a hat as he rode down the street, but he set up a makeshift basket with an umbrella providing shade for his dog in the back. 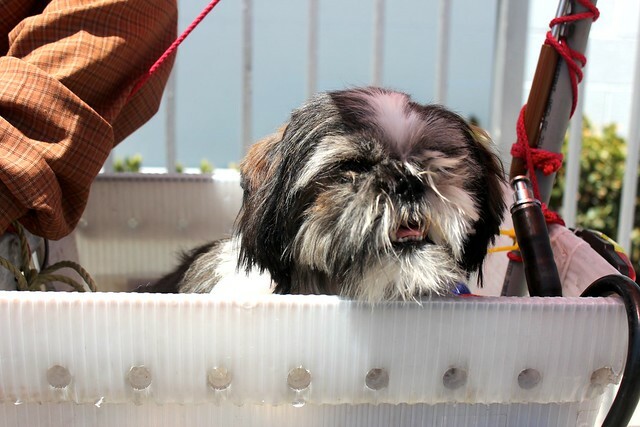 How are you keeping cool during the heat wave?